2015 FLYRA Middle School State Championship: Who's In? The 2015 FLYRA Middle School Cross Country State Championship is only a few days away. This Middle School Cross Country season has witnessed a number of outstanding performances by Florida's Middle School runners. 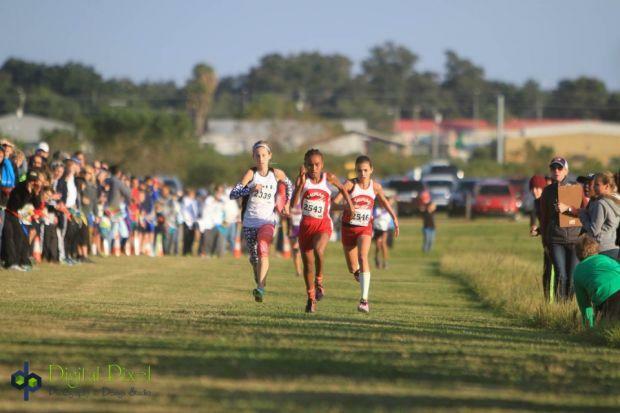 On the cusp of the FLYRA Middle School State Championship Meet at Holloway Park in Lakeland, we take a look back at the most noteworthy performances of this Middle School Cross Country season as run in Middle School meets and not High School meets. This is a selective review of FLYRA MS qualifying meets and is not intended to capture every qualifying meet or every qualifying runner. 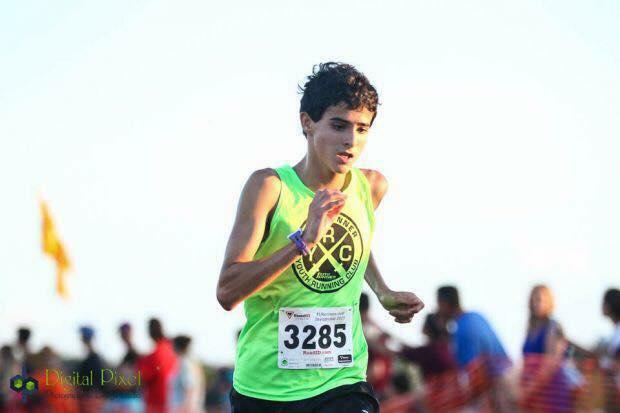 The Second Annual Florida Horse Park Invitational saw the top three MS girls and boys finishers turn in fast times on a challenging 3k course. On the girls side, seventh grader Jacquelyn Abanses won with a speedy time of 11:37. Sixth grader Ani Veltcheva was only 3 seconds behind her for second with a great time of 11:40. Seventh grader Elyse Pleune finished third in 12:07. On the boys side, Kaio Valle, eighth grader at Windermere Prep and the heir apparent to Franco Martin at WPS, won comfortably with a fast time of 10:28. Fellow eighth graders Casey Pleune (10:56.79) and Seth Ziegaus (10:57.35) battled to the line for second with Casey just edging out Seth by little more than half a second. All three boys ran under 11 minutes over the 3k course. The Miami-Dade MS Championship annually brings out the best MS runners in Miami-Dade County to run a challenging and long 2.1 mile course in Larry & Penny Thompson Park. On the girls side, 3 girls ran the 2.1 mile course in under 13:40. Eighth grader Jordan Shapiro (pictured left in photo courtesy of Coach Danny Aguas who is also pictured) won the race with an excellent time of 13:21 which equates to 6:21 per mile pace. Fellow eighth grader, Lisa Adjouadi, finished second only four seconds back with a fast time of 13:25. Eighth grader Ayjah Silemon finished third with a very good time of 13:35. In the boys race, seventh grader Adrian Bichara got the win with a speedy time of 12:03 which equates to 5:45 pace per mile. Eighth grader Colin Wilson finished second with a fast time of 12:26. Eighth grader Gabriel Nunes finished third running a quick 12:39. 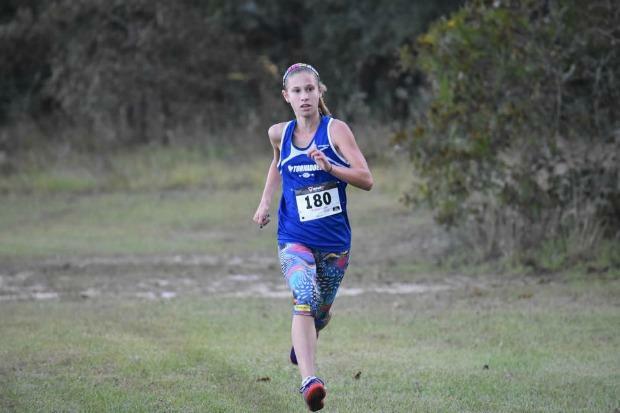 The Middle School race at the annual FLRunners meet annually attracts many of the top MS athletes from around the entire state and this year was no different. In the girls race, seventh grader Isabella Pawloski scorched the 2 mile course running a winning time of 11:44 which equates to 5:52 per mile pace. Seventh grader Lindsay James finished second with a speedy time of 12:01. Eighth grader Valerie Lastra finished third with a fast time of 12:04. In the boys race, eighth grader Kyle Skinner finished first with a great time of 11:09. Fellow eighth graders Paul McKenzie (11:15) and Liam Quintana (11:17) battled for second place with Paul eventually prevailing by two seconds over Liam who finished third. The Disney MS XC race traditionally attracts many of the top MS runners from all over the state. This year Disney shortened the traditional 3200m course length down to the 3000m run at the FLYRA MS State Meet. Seventh grader Mia DeRonda won the girls race (and the Big Mickey trophy) with an outstanding time of 10:50 and in the process beat some of the top MS girls in Florida. Eighth grader Valerie Lastra took second with a stellar time of 10:57. Seventh grader Isabella Pawloski took third with an impressive time of 11:05. In the boys race, eighth graders Kayamo Galloway and Mamush Galloway, running varsity top 7 for the Trinity Prep High School team this XC season, dropped down to the MS 3k distance from the high school 5k distance and crushed the course. Kayamo Galloway won the race with a lightning-fast time of 9:33 while brother Mamush Galloway took second in a blazing 9:50. Eighth grader Sol Weller took third place with a stellar time of 10:02. Bishop Kinney hosted this Qualifier for the North Florida area. In the girls race, Seventh grader Layne Rivera won the 3k race with a quick time of 11:37. Bolles 5th grader Ella Mickler took second in impressive fashion with a time of 11:48. MacKenzie Czurak took third in a fast time of 12:20. In the boys race, the top 3 boys all ran under 11 minutes. Dylan Nelson won by seven seconds with a time of 10:49. Anton Matchev finished second with a speedy time of 10:56. Jacob Ossi took third in a quick 10:59. The Central Florida Gliders have held a MS XC meet for many years in Seminole County. This year the event moved to a new location at Forest City Elementary School. Eighth grader Ashley Klingengberg scorched the new course running 10:41 for the win. Seventh grader Mya Bodrato took second with a fast time of 11:25. Eighth grader Brooke Brennan finished third with a quick time of 11:39. In the boys race, eighth grader Jesse Jones won with a sub-11 time of 10:51. Eighth grader Kenan Collignon took second place with a fast time of 11:04.67 only three-tenths of a second ahead of third place finisher and fifth grader, Brayden Seymour who ran an impressive 11:04.99. Although one can't put too much stock in xc times due to actual course lengths varying from nominal course lengths, the times run do tell us who is running fast and who is most fit. On that score, Seventh grader Isabella Pawloski has had an outstanding season. She has run fast times and competed well winning the FLRunners MS race and finishing third at Disney. Isabella finished second last year at the FLYRA MS XC State Meet and appears poised to be among the leaders again this year. Ashley Klingenberg had a late start to her xc season after her record setting performances on the track this summer as a seventh grader. Based on her performance last weekend at the Gliders meet, Ashley is rounding into shape just in time to be included among the favorites heading into a potentially wide open MS State Meet. Seventh grader Mia Deronda ran brilliantly at Disney to capture first place at a loaded meet and will be among the favorites this year at the MS State Meet. 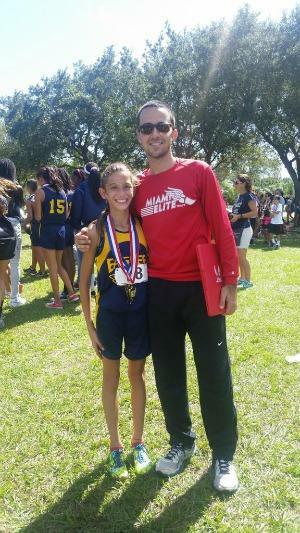 From South Florida, eighth grader Valerie Lastra has been consistently excellent this MS XC season. She took second at a very competitive Disney meet and third at a tough FLRunners meet. Valerie must also be considered among the favorites for a top finish at this year's FLYRA MS XC State Meet. Last year's 4th place finisher, Rahyah Andressohn, won the Sam Burley MS Invitational two weeks ago in addition to her impressive performances at the 3A high school level. Based on their times run this season at distances other than 3k, the following girls will also likely factor in the Top 10 at MS State Meet: Jacquelyn Abanses, Ayjah Silemon, Jordan Shapiro, Kaleigh Scallon, Ellie Pleune and Lisa Adjouadi. The boys race looks to be wide open with a number of boys capable of winning the State Championship. Only two boys have run 3k under 10 minutes thus far this season: Kayamo Galloway and Mamush Galloway. The Galloway brothers, however, will be running for Trinity Prep in their high school regional race on the same date. Eighth grader Sol Weller is also running high school cross country this season for Indian Rocks Christian. Interestingly, he will have his regional race on Friday October 30 at the same Holloway Park where the FLYRA MS XC State Meet will be held the next day (Saturday October 31). If Sol runs FLYRA, even with back to back races, he will be among the favorites. 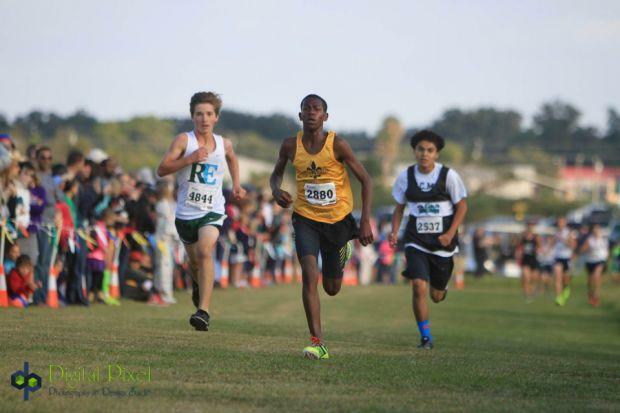 Eighth grader Kyle Skinner has quietly put together a fantastic XC season winning 4 MS XC races including FLRunners and the Holloway Park Jamboree (on the State Meet course). Kyle should be considered one of the favorites. Eighth grader Jacob D'Aleo is undefeated this season in the 3k distance winning all three MS 3k meets he entered. 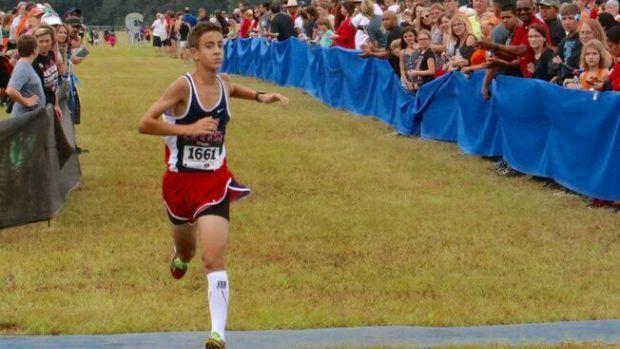 Jacob has run the FLYRA MS XC State Meet for the past two years showing significant improvement year over year. This could be a breakout MS XC State Meet for Jacob. Other boys expected to be among the leaders include the following: David Manning, Seth Ziegaus, Adrian Bichara, Javier Trashorras, Austin San Juan and Colin Wilson.